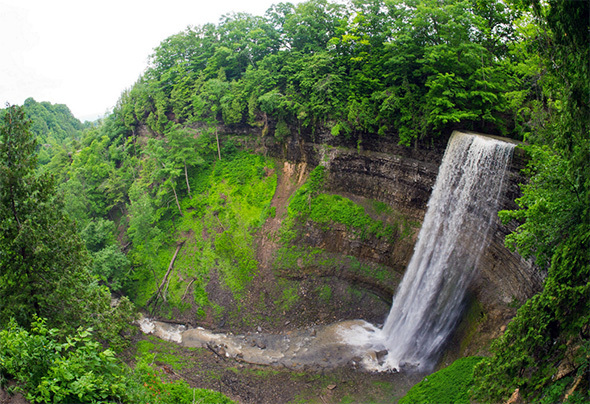 Ontario is a province packed with natural wonders and surreal places to explore. Alas, for many of us, the drive way north to Thunder Bay and beyond is too daunting for a mere weekend trip. 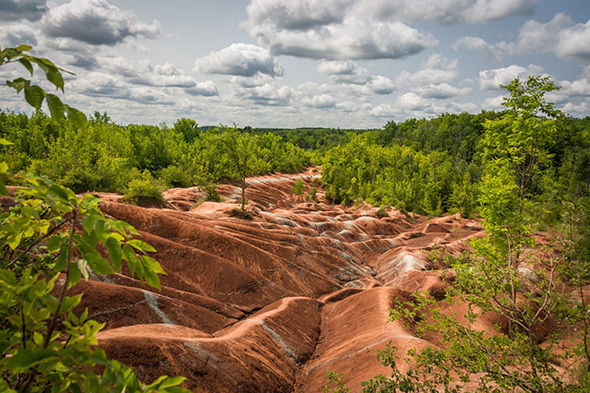 Fortunately, there are some out-of-this-world places within a reasonable drive of Toronto. From waterfalls to grottos, there’s plenty to astound within a short trip of the city. 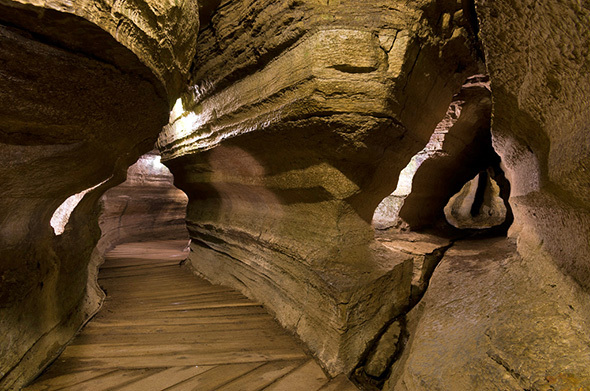 Here are five surreal wonders to explore near Toronto. 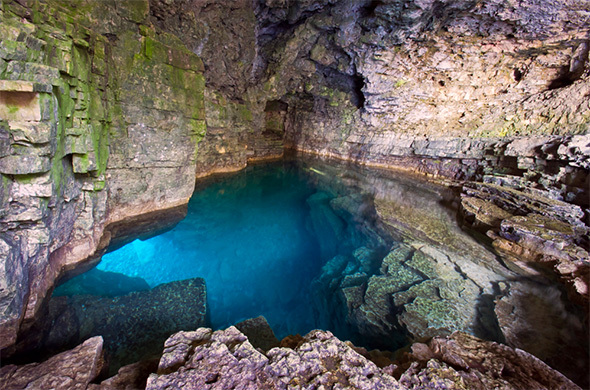 It takes a bit of work to access the Grotto at Bruce Peninsula Park, but is it ever worth it. Carved out over Millenia by the waves of Georgian Bay, the cave is one of the most beautiful places in the country. Sunlight illuminates the interior water, which takes on an impossibly cerulean tone. Go early in the morning to avoid the crowds. Access to the Badlands themselves was restricted last spring as a plan is hatched to protect this natural wonder while also allowing the public to enjoy it as much as possible. Even though you can’t walk on them for the foreseeable future, the drive around the Badlands remains breathtaking. At less than an hour from Toronto, it still very much worth the trip. The Hamilton area is blessed with numerous dramatic waterfalls, but my top choice is always Tews Falls. Not only is it just 10 metres shy of the height of Niagara Falls, the dome-like setting makes for a surreal setting that feels more Amazonian than it does Hamiltonian. You can also check out the nearby Webster Falls while in the area. 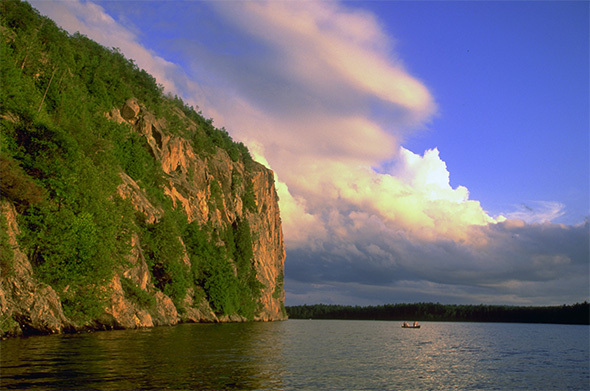 The Mazinaw Pictographs are located on a soaring 100 metre cliff at Bon Echo Provinicial park that’s stunning enough in its own right. Close exploration reveals over 260 pictographs spread across the rock face, which make it one of the largest collections of its kind in Ontario. There’s also a dedication to Walt Whitman carved into the rock almost a century ago. Ontario isn’t exactly short on caves, but few match Bonnechere for pure aesthetics. This is a photographer’s playground, with layered rock walls shaped by millions of years of erosion. The cave system is quite extensive, which allows you to explore the fossilized passageways for hours.